I (Lucy Brouwer) was invited on to BBC Radio Nottingham to talk about the Watson Fothergill Walk to DJ Dean Jackson (standing in for Alan Clifford) on the afternoon show and you can listen again here at about 3:08 (after Cher!). 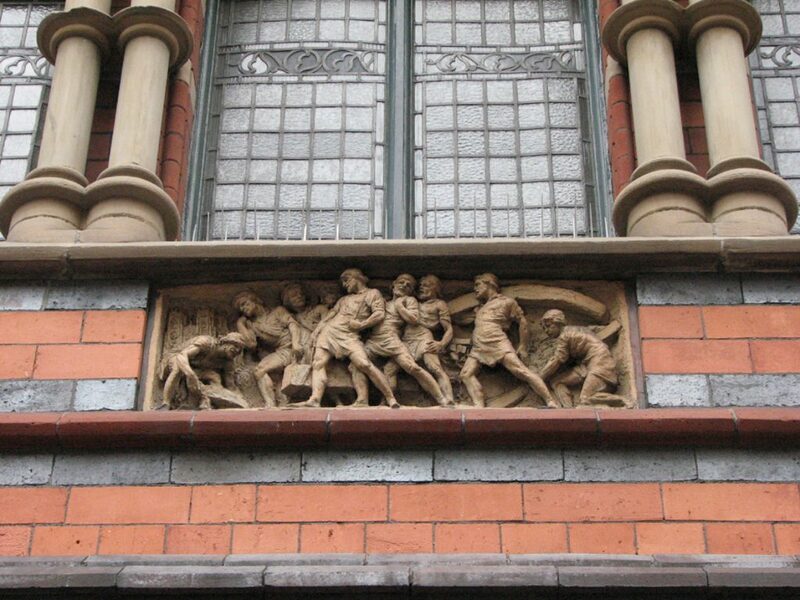 Detail of Benjamin Creswick’s Terracotta Panel on 15 & 17 George Street, Nottingham. The latest dates for my walks can be found here on Eventbrite. The Hine Hike, an evening walk exploring some of the Nottingham buildings of the Victorian architect Thomas Chambers Hine, will take place on Wednesday 5th June 2019, starting at 6pm. Tickets are £12, available here. The Hine Hike: 5 June 2019, tickets here. 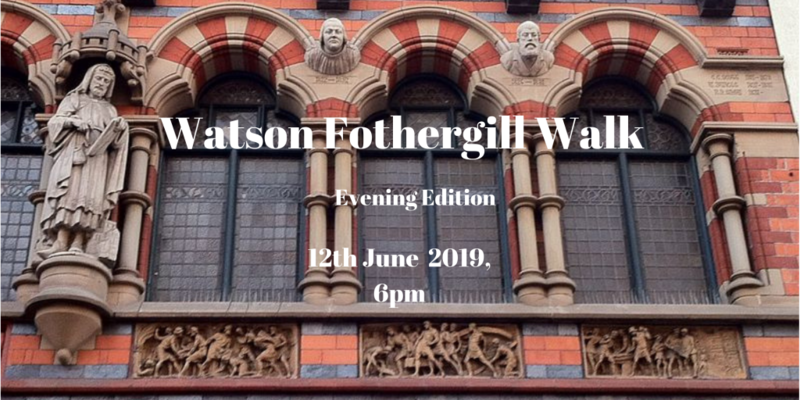 There will be another chance to join me for The Watson Fothergill Walk on Wednesday 12th June 2019, starting at 6pm. 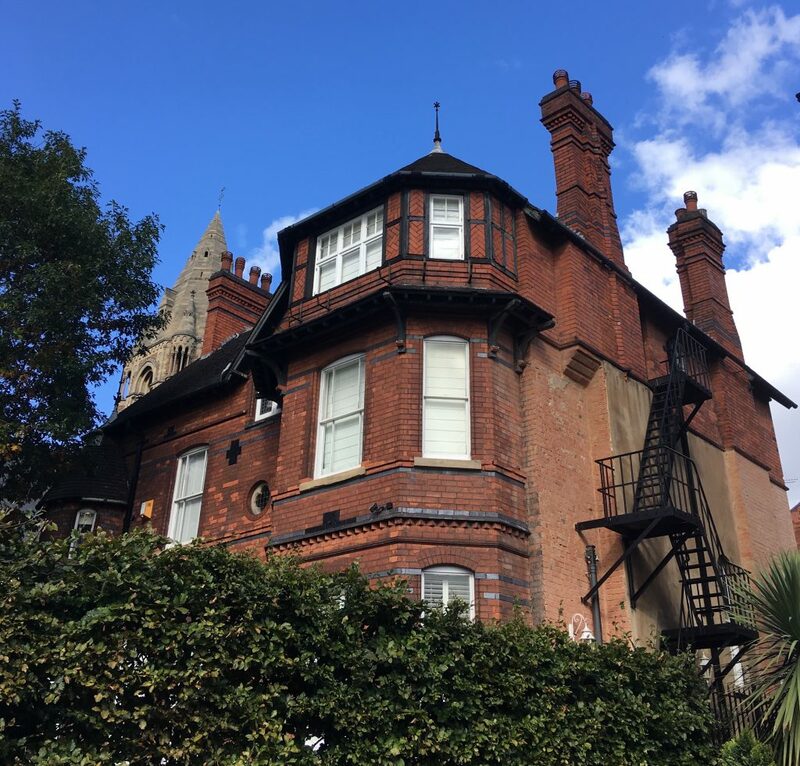 On this walk we will see some of Nottingham’s most striking Victorian buildings, designed by the architect Watson Fothergill (a.k.a. Fothergill Watson). Tickets are £12, available here. 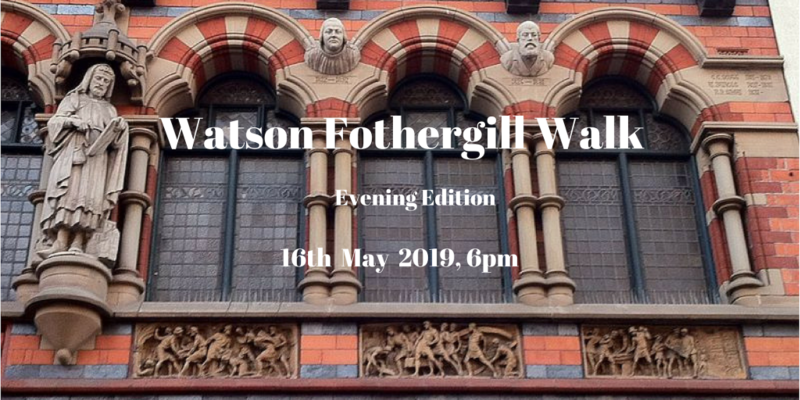 Watson Fothergill Walk Evening Edition: 12 June 2019, tickets here. The next opportunity to join me for the Debbie Bryan Edition of the Watson Fothergill Walk (including drinks and cake) will be 30th June 2019, 1pm. Tickets are £12 and can be found on Eventbrite: here. 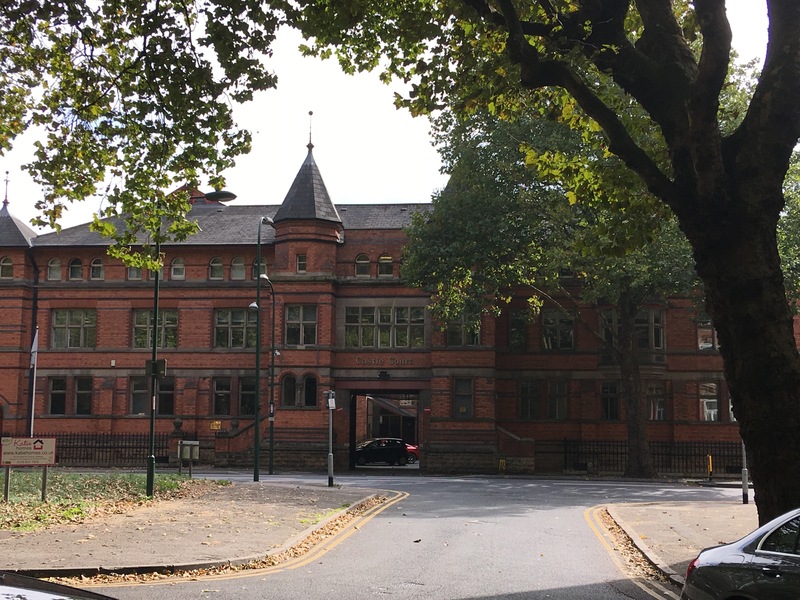 30 June 2019: Afternoon walk, tickets here. All those dates are in one place on Eventbrite here. 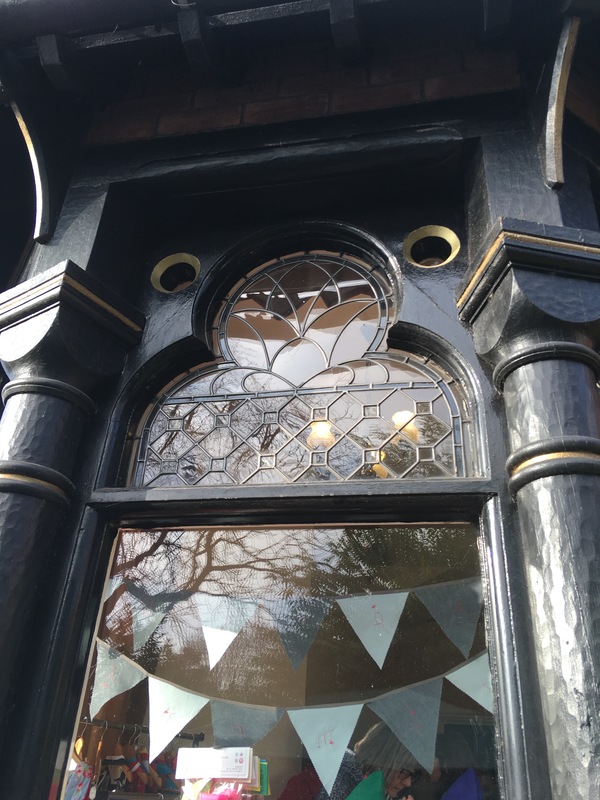 Tickets for my talk on Watson Fothergill and Thomas Cecil Howitt (architect of Nottingham’s Council House) at Nottinghamshire Archives, 10 May, 2019 2.30pm are available here. 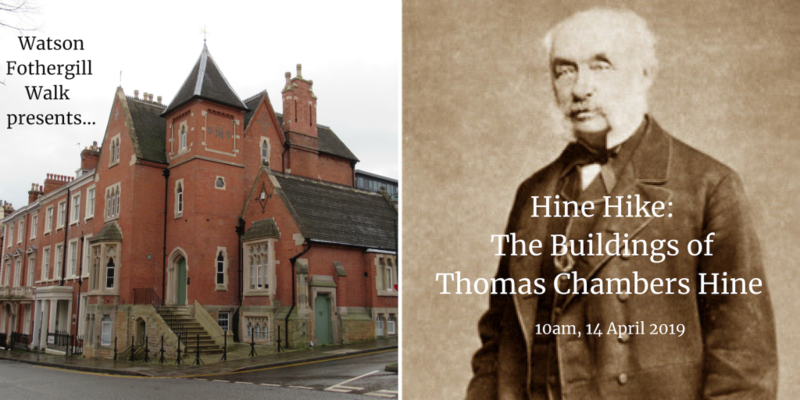 My talk on TC Hine at West Bridgford Library on 25 June 2019 is now sold out. 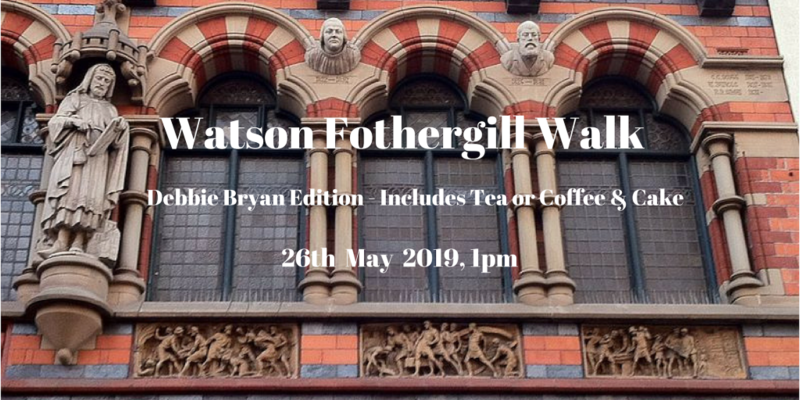 If you would like me to talk to your group about Watson Fothergill or TC Hine (similar format to the walking tours, but with photos and without the walking!) then please get in touch. I am also available to take small parties (between 6 and 20 people) on walks to suit your group. Interested? Email me to discuss your needs. 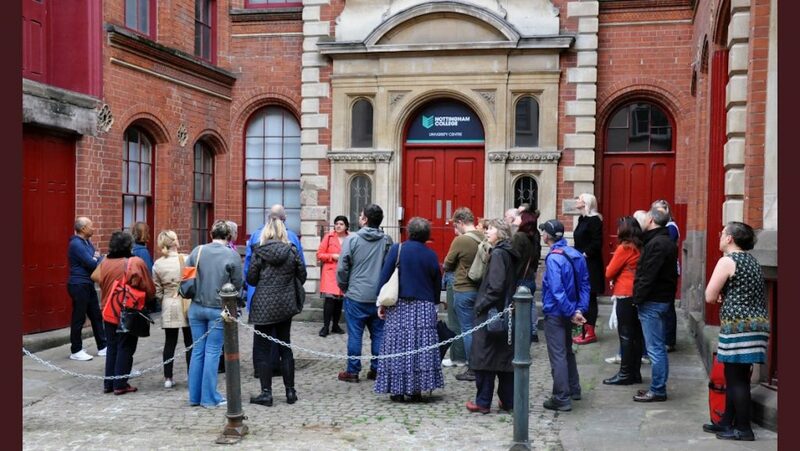 The morning walk on 28th April 2019 is very nearly sold out so I have added an afternoon session startng at 1pm. 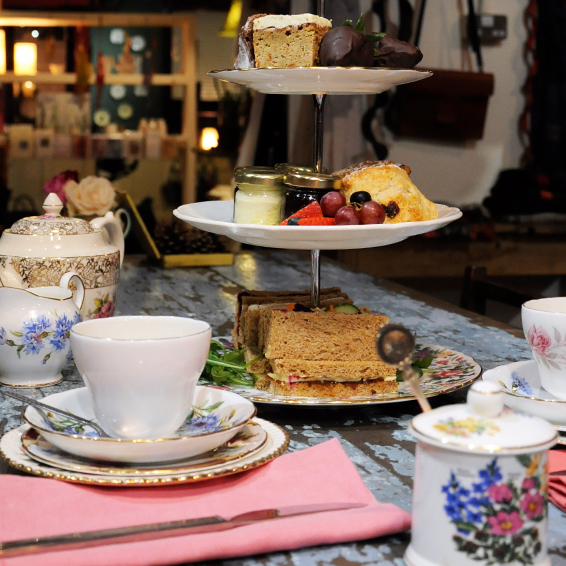 Tickets are available on Eventbrite price £12 each, tickets include hot drinks and cake at Debbie Bryan after the walk. 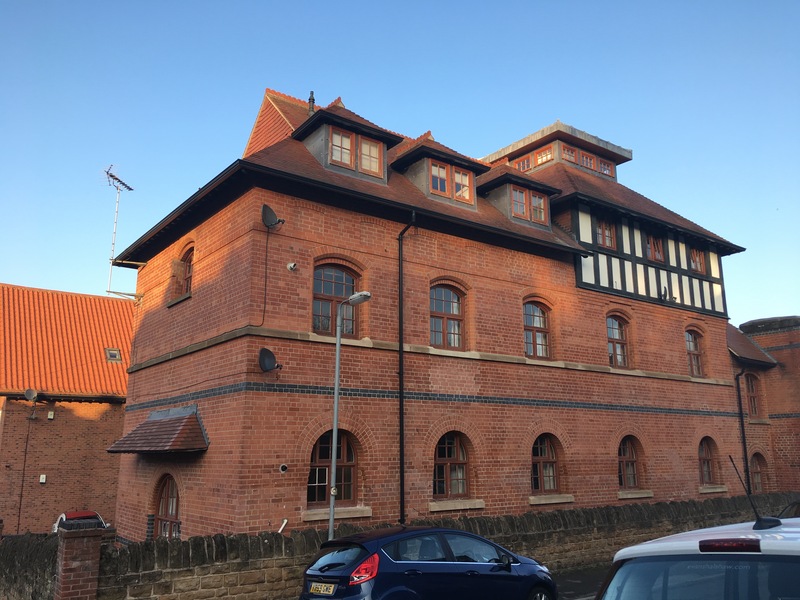 Light Industrial Buildings by Watson Fothergill. After a good look around in Sherwood, I went for a further wander and caught a bus to Carlton to see if I could find the Brewery at Mar Hill (A71). Away from the bus route, deep into Carlton, I found the building. It was originally built for Mr Vickers, in 1899. It was convereted to residential use around 2005. From the other side, now a car park. From what I can find online, the Carlton Brewery was a relatively short lived enterprised. The Vickers family held the licence at The Black’s Head pub close by in Carlton in the late 1800s. “Brewing in Nottinghamshire” has an older picture of the building and states that the Carlton Brewery was short lived. With Mrs Vickers there in 1902 and Willam (her son?) there between 1904-1906. It was sold in 1904, 1906 and 1909. 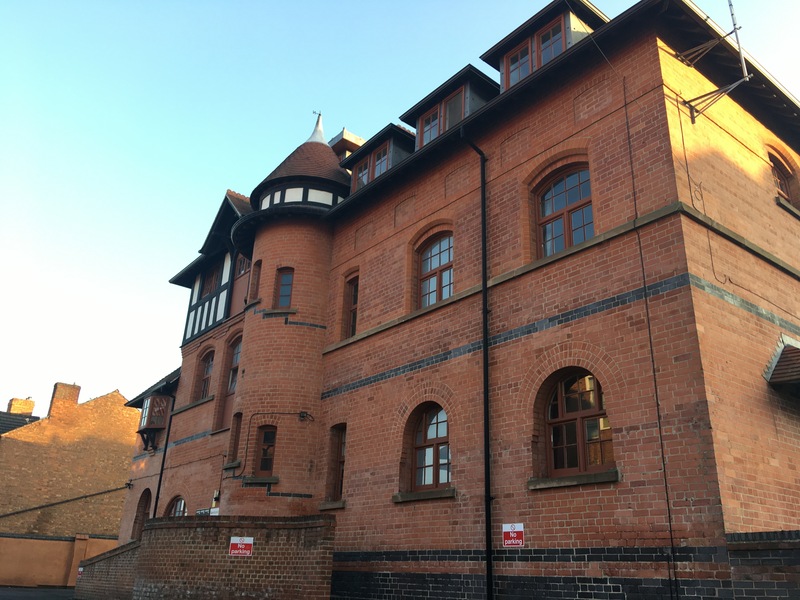 It became a laundry, then a print works and then it was used as a dye works owned by the Ilkeston Hosiery Finishing Company. The sequence of these changes is not entirely clear. Along Primrose Street are also a series of 16 terraced houses built for brewery workers. 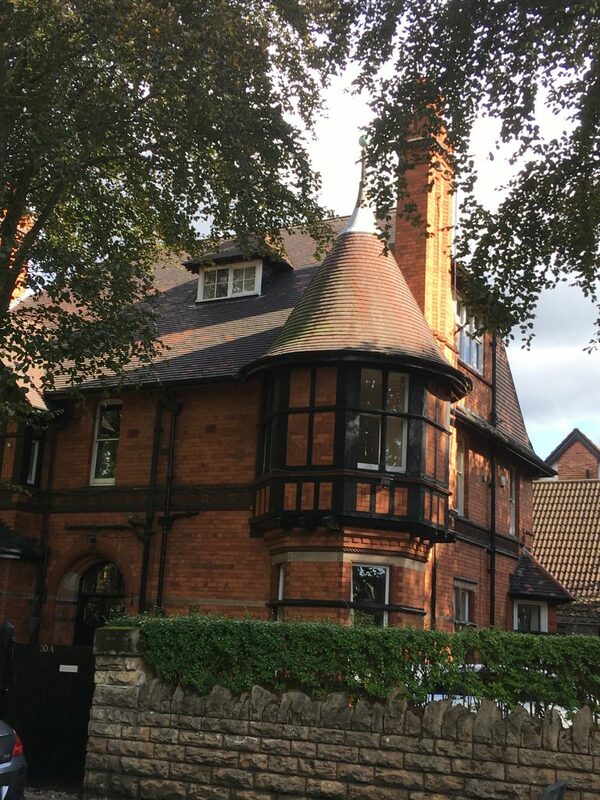 It has been suggested that Fothergill also designed these but Darren Turner refutes this: The drawings survive in Nottinghamshire Archives but there is no stylistic evidence in the design, not documentary evidence on the surviving drawings to substansiate this rumour. 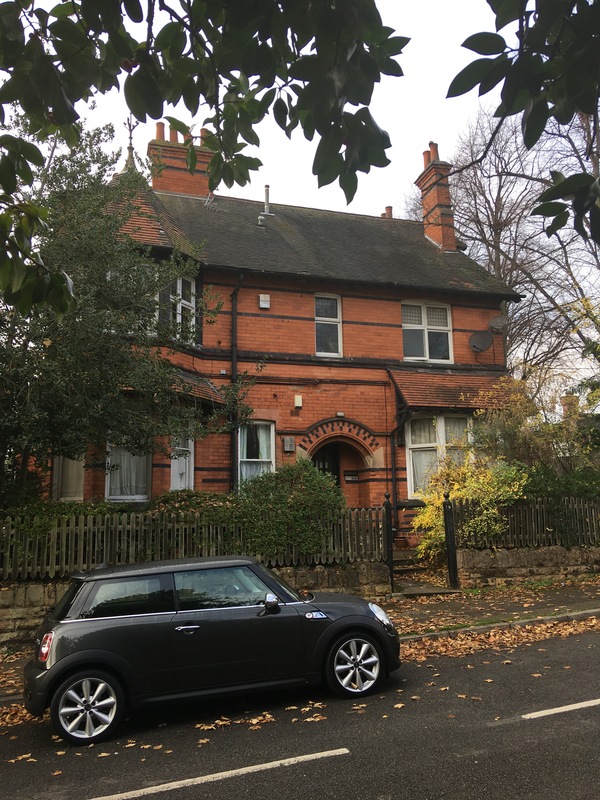 For more about buildings around Carlton, there is a U3A trail to follow, with some pictures of the other buildings. 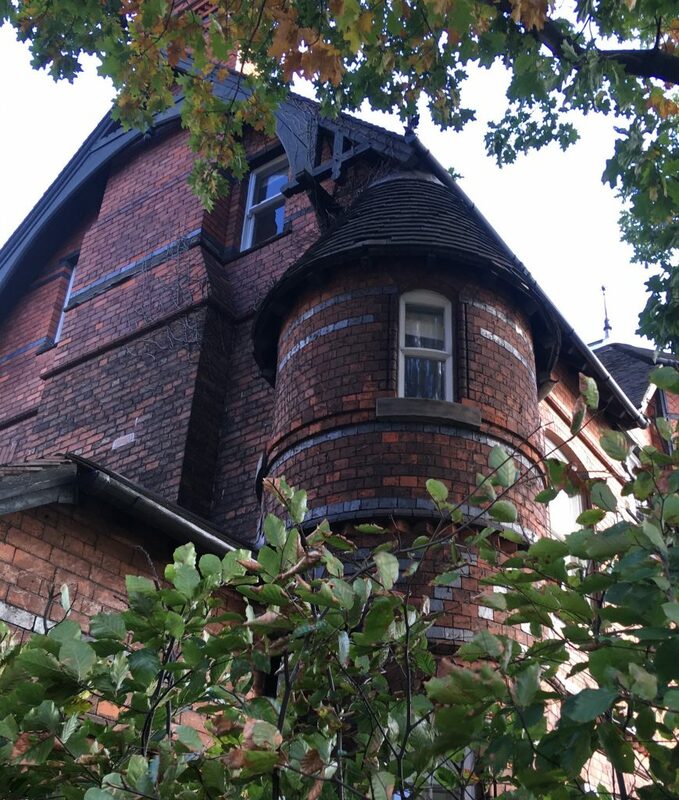 Mar Hill Brewery now Sandpiper House, stair turret. From the other side, later period Fothergill details, heavily cleaned up in conversion. 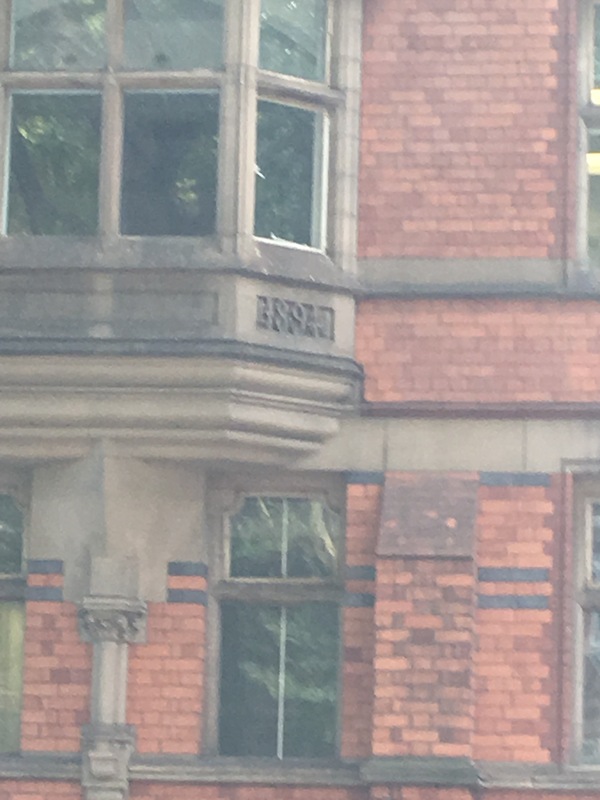 The other industrial building of Fothergill’s that survives in Nottingham is down on Castle Boulevard. I was down that way a few weeks ago, but because of the road it’s quite tricky to photograph. 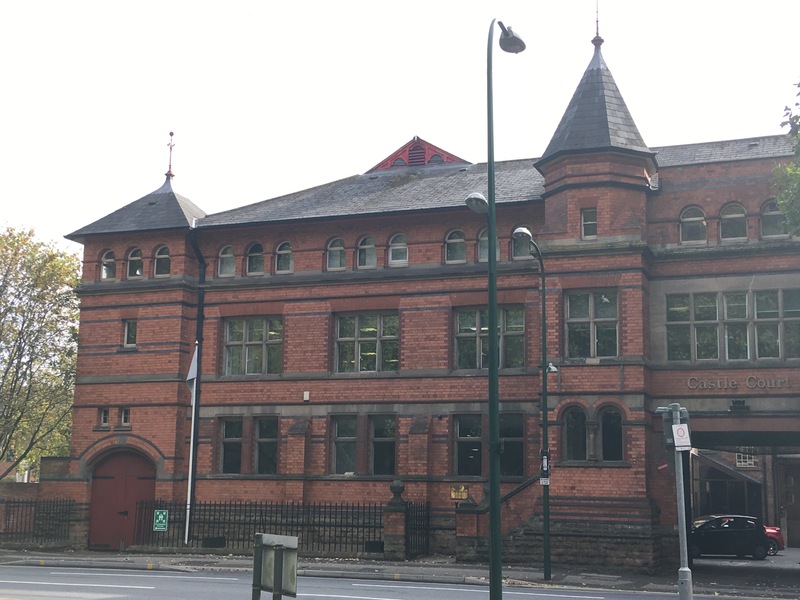 The Paper Warehouse (A59), on what was then Lenton Boulevard was built for Simons and Pickard, in 1893-94, the date stone reads 1894. The Paper Warehouse on Castle Boulevard. Taken when the leaves were still on the trees, October 2018. Brick patterns and finials, very Fothergill. All photos by Lucy Brouwer. The rear of the building is on the canal side and has a more conventional warehouse look. 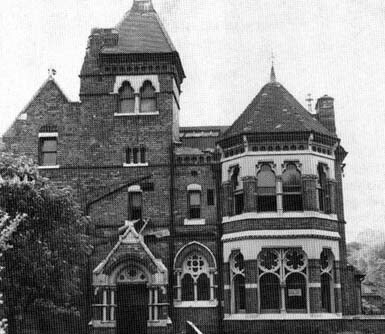 This was one of the buildings for which Fothergill commissioned photographs from Bedford Lemere, and some of these can be found on Historic England’s website. There is another photo, taken from above, attached to the listing. My next walk will be a little look around the Lace Market on 7 December 2018. Tickets are available here on Eventbrite. If you’d like to keep in touch and hear about future walks, starting again in 2019, please sign up to my email mailing list. 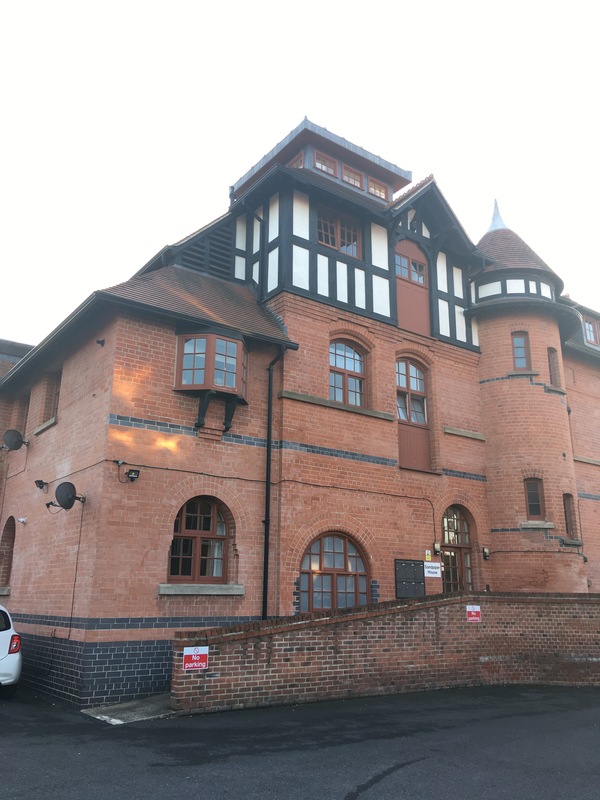 Fothergill Watson in Sherwood (slight return). I took the opportunity to have another look at the Ukrainian Centre (A.K.A. Clawson Lodge A43) as the Sherwood Christmas Craft Fair was taking place. Not only did I see some charming work by local artists Corinna Rothwell and Eloise Renouf (among others), I also ate a nice little sour-dough pie from Small Food Bakery. 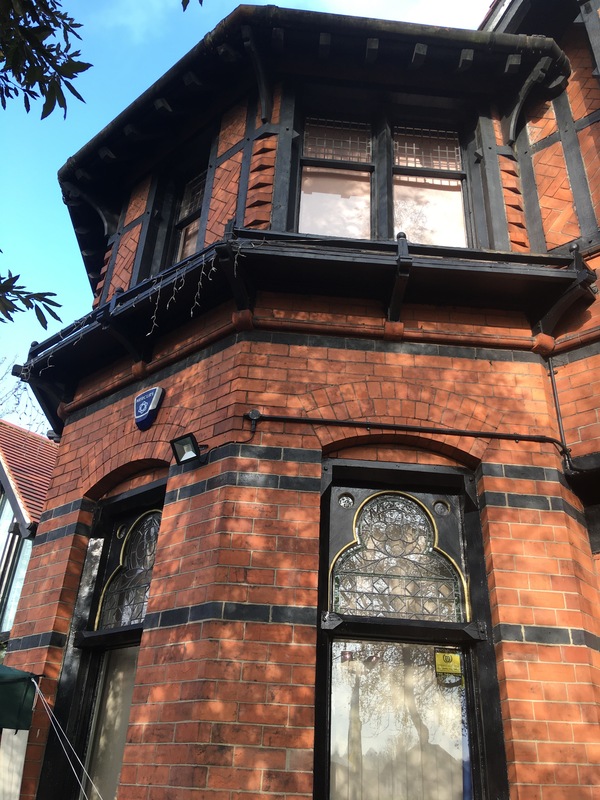 Inside was rather busy and has been significantly altered, the two downstairs rooms were full of crafy goings on so a bit difficult to see, but apart from the windows there doesn’t seem to be much in the way of original features. 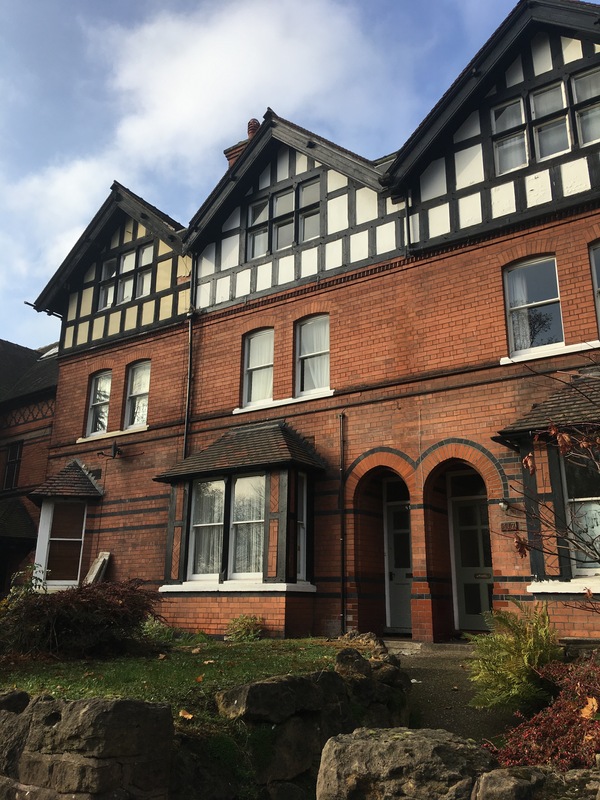 The house has been significantly extended and converted so, as with so many of these buildings, it remains the exterior that retains its original character. Loscoe Hill villas next door to Bingham Road houses on Mansfield Road. Date stone inbetween windows. Mansfield Road view of the 1906 houses. Bingham Road view of the 1906 houses. Date carved into frame above doors. Now converted into flats. Back in Sherwood, I went down Burlington Road to look for some slightly elusive, domestic Fothergills. 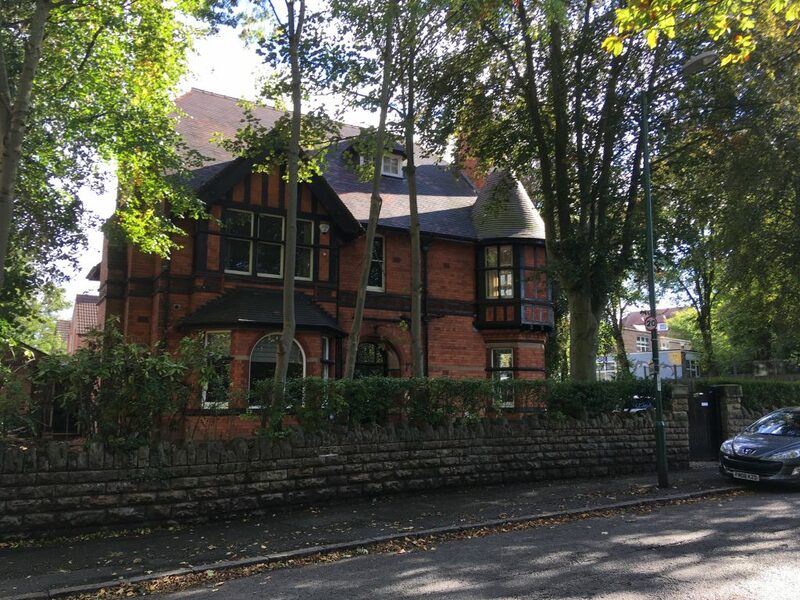 This part of Nottingham is refered to as Cavendish Hill in the planning applications. 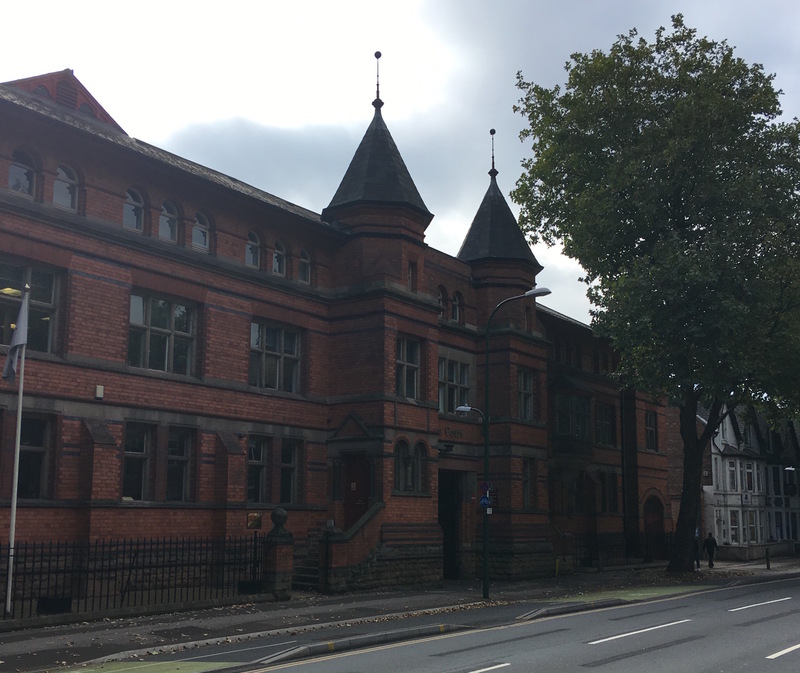 The earlier Elberton House (A53) was built for Mr Gallimore, a clerk to Smith and Co’s Bank in 1890. 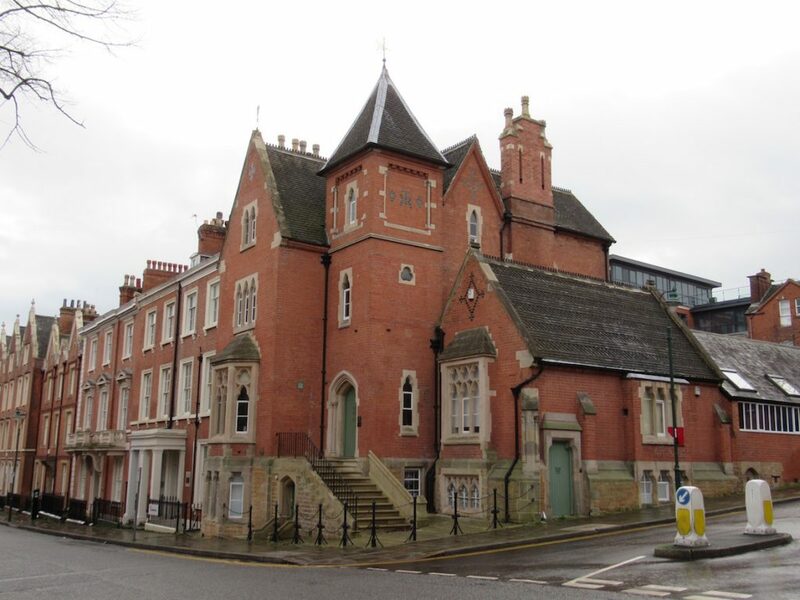 Fothergill had worked on a branch of the bank in Long Eaton in 1889. 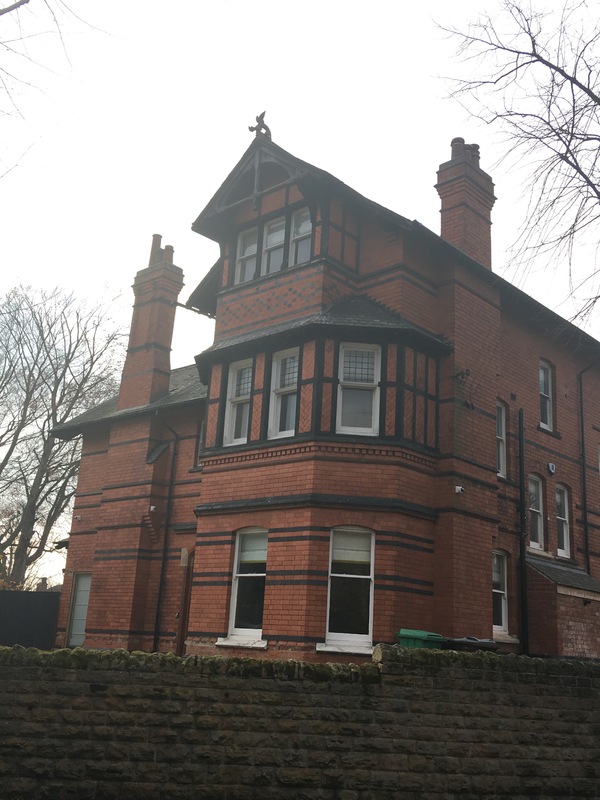 Additions were made to the villa dated 1911, and these are the last known (minor) works for a private client to be signed off under Fothergill’s own name. Burlington Towers with distinctive Fothergill affects. Burlington Towers from the side. (all photos: Lucy Brouwer). 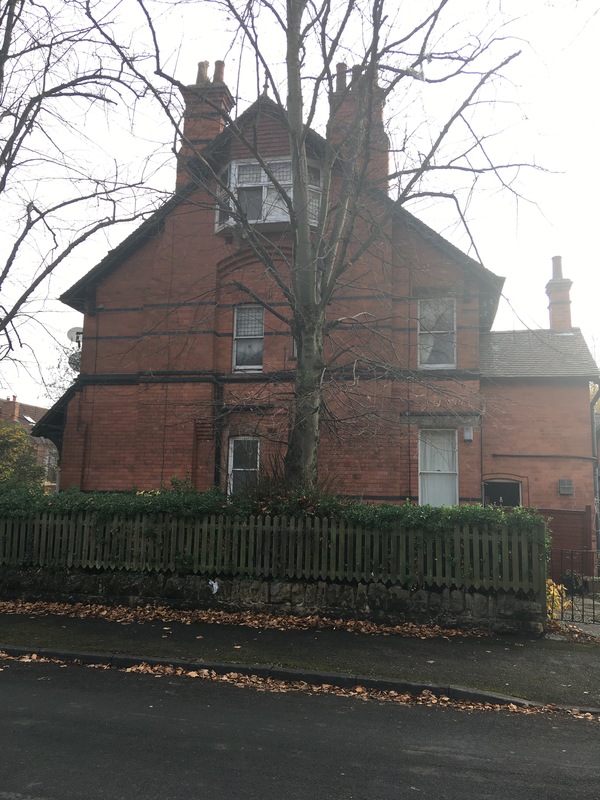 *It turns out this is the tip of the iceberg in terms of period photos of Fothergill buildings on the Historic England site, I will keep digging for more, but so far Fothergill’s own family home at Mapperely Road and the Sherwood Rise properties have been identified. If you would like to engage my services for a walk or a talk about my Fothergill research please contact me. 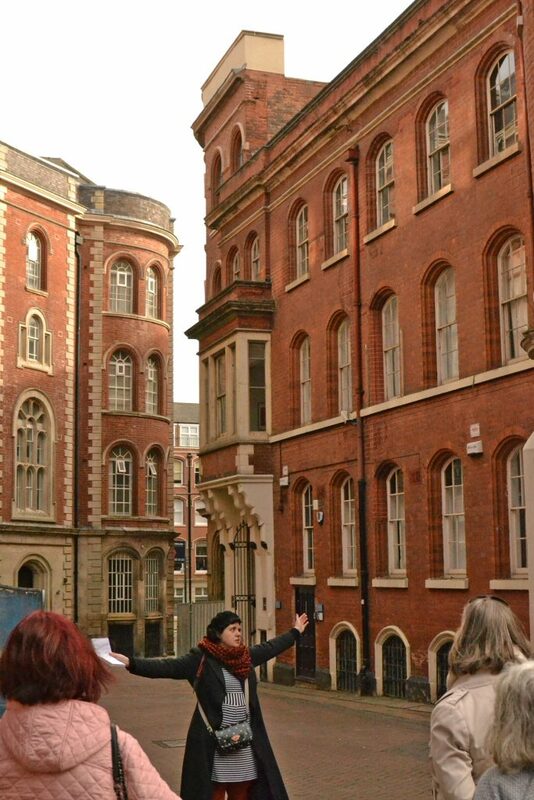 Meanwhile I’m leading a short walk in the Lace Market on 7 Decemeber with Debbie Bryan providing tea and mince pies post-tour. Tickets available from her website. 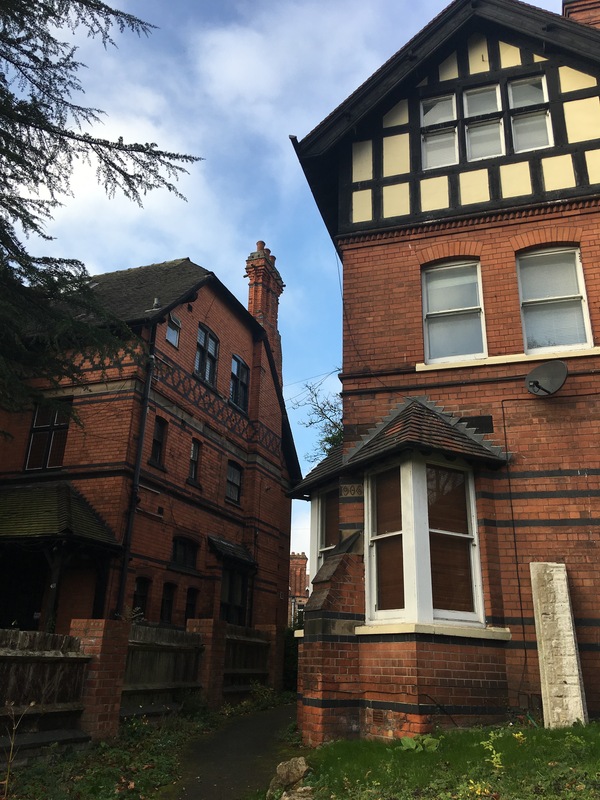 As Fothergill himself lived a little further up Mapperley Road he would have been keeping a close eye on the developments in the neighbourhood. In 1886, Dr Stewart engaged Fothergill to add ‘Three Carriage Houses with hay loft over and harness room to the rear’ (MW23). The date stone bares the owner’s initials ‘IS’. 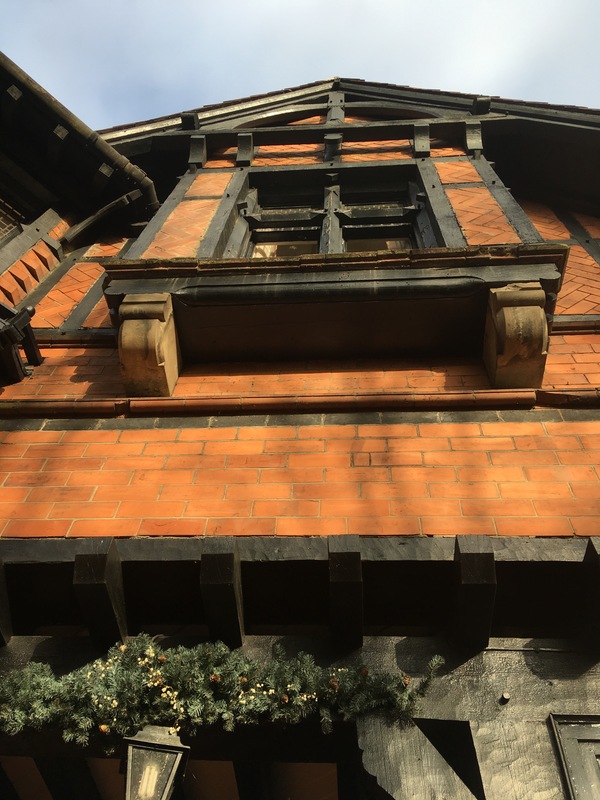 In Fothergill’s work on the house you can see several features that he was to use in his buildings – brick nogging patterns, turrets, black woodwork and bargeboards (there’s a slight Arts and Crafts feel to the porch) and large chimneys. There’s no trace of the “stucco” he mentions in his diary. 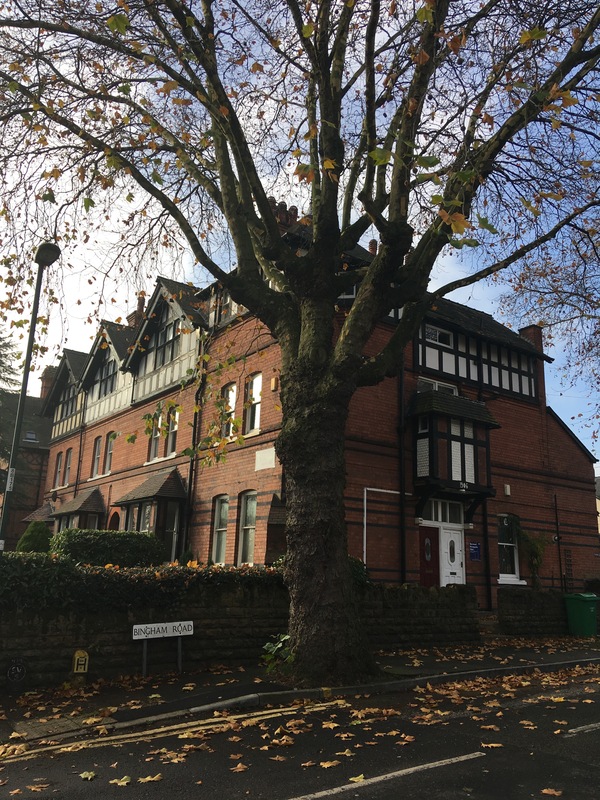 A few inconsistencies arise: The Historic England listing for the building has the owner as Dr Smart (per Ken Brand) and “St Andrews House” is now the name for a sheltered housing project close by. After Dr Stewart (I’m going to stick with the name quoted in Fothergill’s diary by Darren Turner), this building was used as an office (from circa 1929) by Thomas Cecil Howitt (1889–1968) the Hucknall-born architect responsible for the design of Nottingham’s Council House, the Raleigh head office on Lenton Boulevard and the Home Brewery building in Daybrook. (Perhaps another blog about him later!). 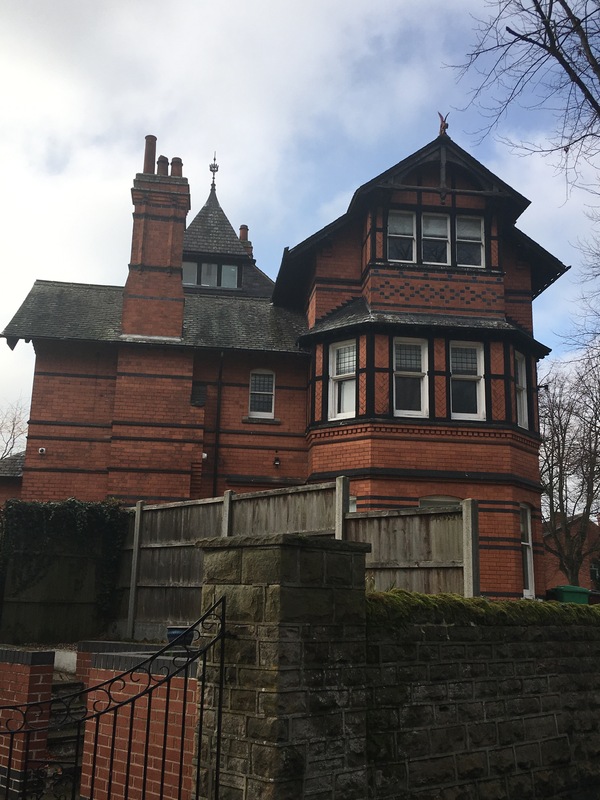 The Watson Family, as they still were, moved in on 26th March 1872, though the workmen were not yet out of the house. Fothergill purchased adjacent land from Thomas Birkin in 1901, to extend as far as Chestnut Grove, where they laid out an ornamental garden and a tennis court. 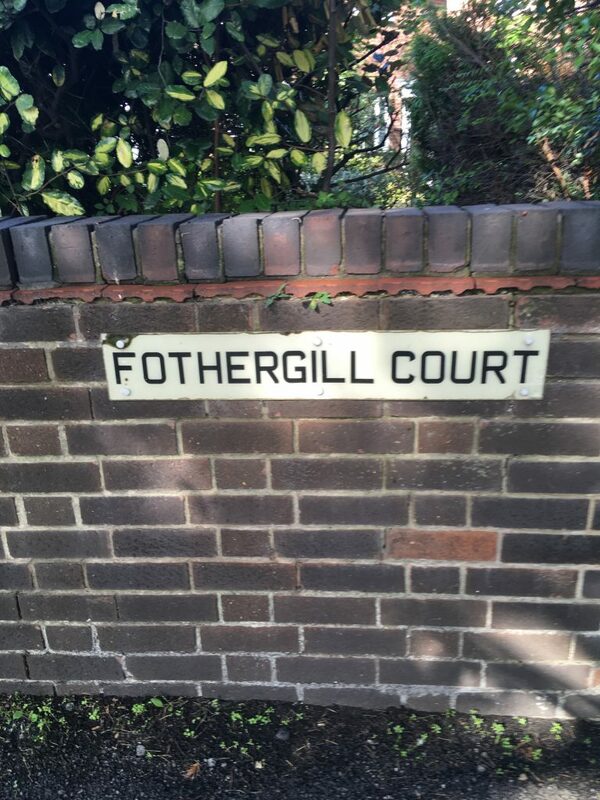 Now the only trace of Fothergill here is his name and some rather ugly maisonettes with faux-classical porches. 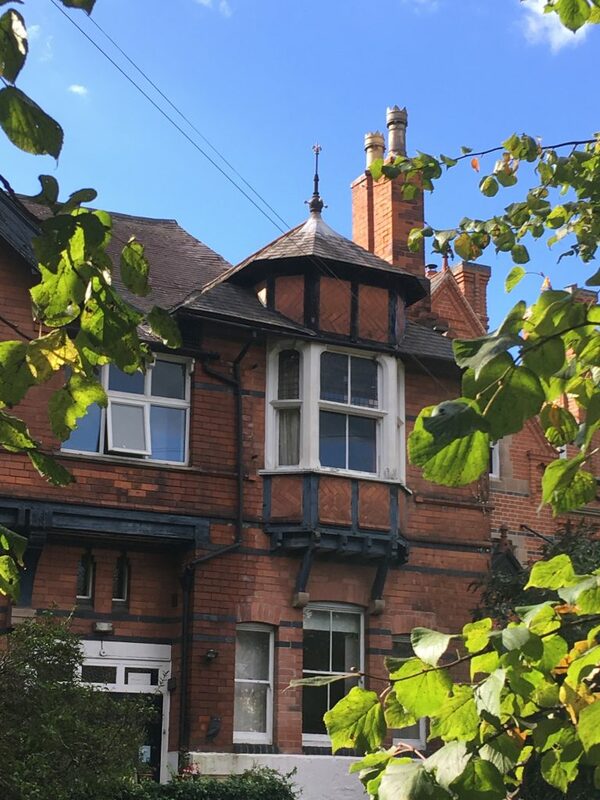 The hand of Summers can also be seen in the next house I looked at, back on Mapperley Road. 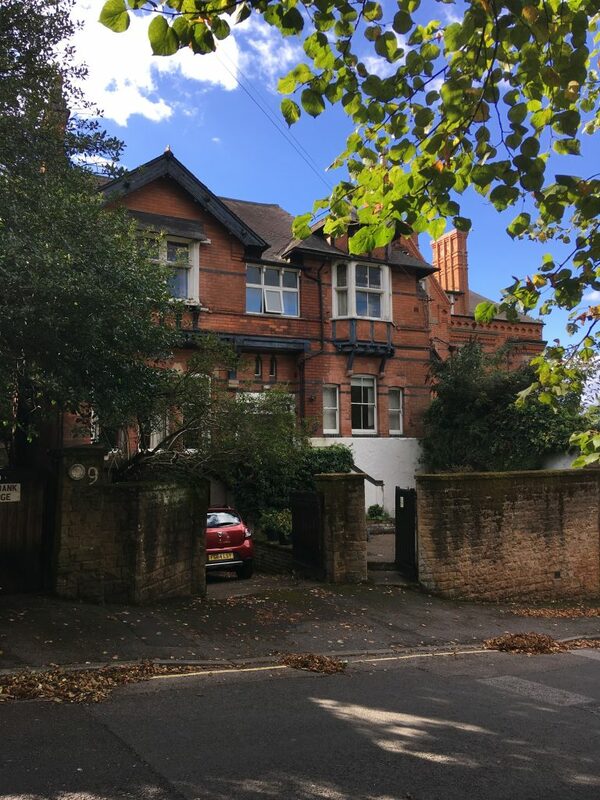 ‘Beechwood’ 30A Mapperley Road (A76/ LGS20) was built for Mrs HA Wilkinson in 1905. 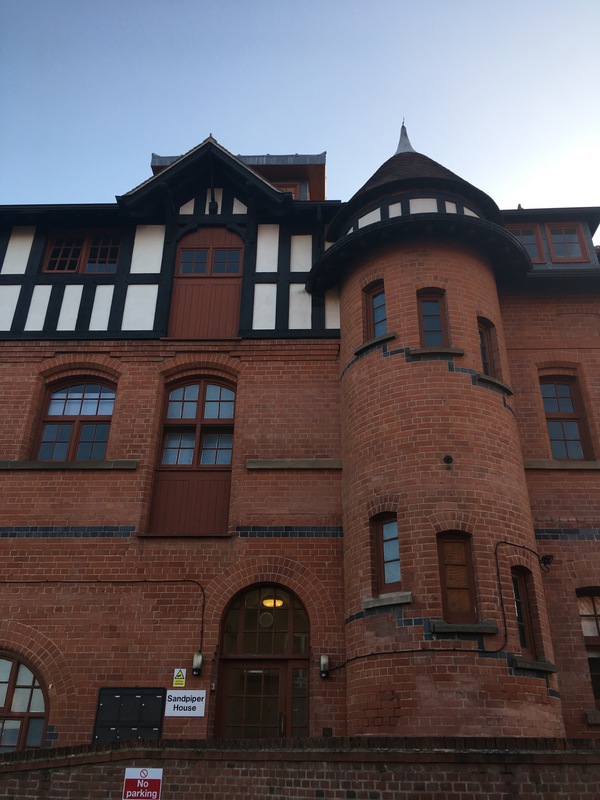 Fothergill and Summers are listed as joint architects on the project and it is one of the last projects Fothergill would have worked on before he retired. 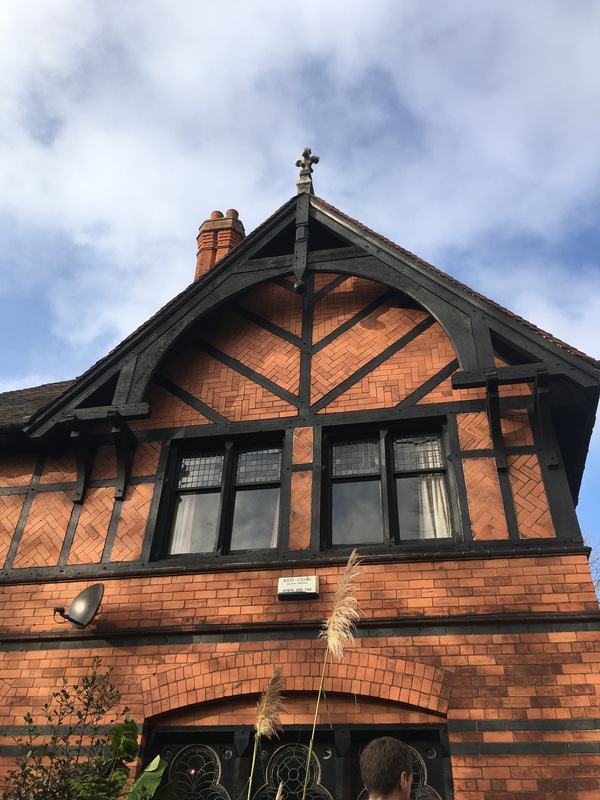 The three storey house employs recognisable Fothergill motifs, the turret, the nogging and black woodwork, but feels more domestic in scale than some of the early villas. And there I started to get a blister on my foot… so this portion of the Fothergill safari is over for now. 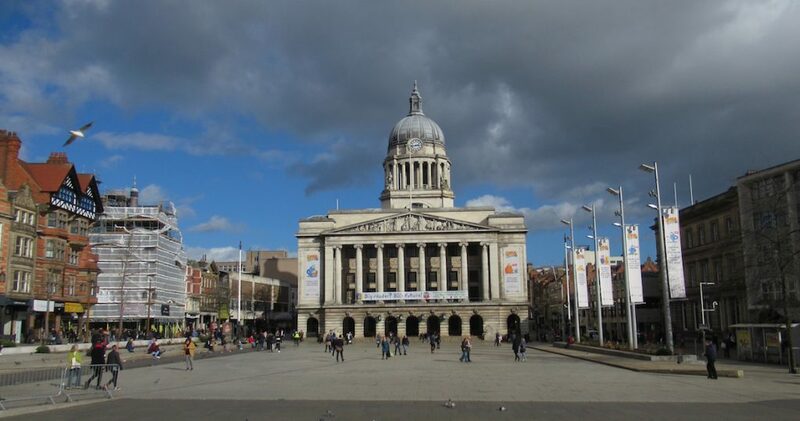 I hope to explore some other parts of Nottingham and bring you some more buildings soon. Meanwhile the walks on 30 September are now full… Sign up to my mailing list or follow the Watson Fothergill Walk Facebook page for news of more events.